Preheat the oven to 180°C/350°F; butter ten ½ cup (120ml) capacity muffins pans. Place almond meal, icing sugar, flour, baking powder and nutmeg in a large bowl and stir to combine. Add the egg whites and stir to combine. Stir in the butter. Divide mixture among prepared pans – each should be ¾ full. Top each pan with 2-3 slices of pear, sinking them into the batter. Bake for 15-20 minutes or until golden and cooked through when tested with a skewer. Let stand in the pans for 5 minutes, then carefully turn onto a wire rack. Thank goodness for friends and family, am I right? I'm surprised they aren't more upset about me pawning off baked goods in their direction ;) These look really beautiful, and I love the construction of your picture! That's I always do too. Just 1 or 2 pieces, and the rest to neighbours and relatives. I hope I can control within 1 or 2 pcs but often I consume more than I shd, tats whi my size gonna be like hse soon :P. The friand looks yummy, think I can easy gallop more than 2 oops no! i would certainly be tempted to eat a few of those! they remind me of the friands i used to get from the coffee shops in sydney. yum yum yum yum yum yum - So delish! I just take a bite out of what I make since I am not eating gluten.... bummer. But it is just so much fun to share and the whole process of baking is my own personal therapy. Wendy, that's the key, right? Wendy, that is a good idea! Paula, these are not muffins, they're slightly different. But I hope you try them anyway! Thank you! Alicia, freezing is a nice idea! Thank you, sweetie! Steph, I'm glad to hear that! Thank you! Megan, thank you! 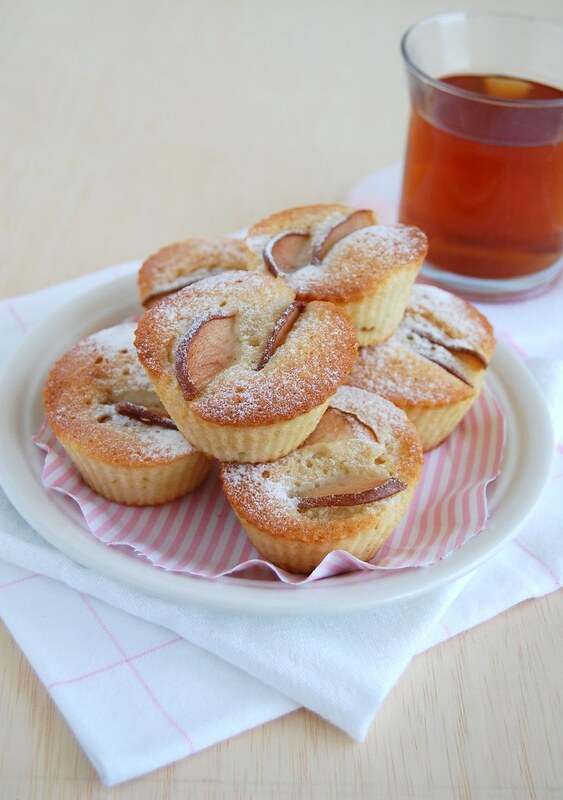 Helen (Tartelette) has lots of great gluten free recipes, have you visited her blog? I wanna try this, I wanna try this, I wanna try this. If only I hadn't decided to make a chocolate cake instead of this right now. :( I'm bookmarking you, beautiful recipe, and I'm using you! Thank you for stopping by! I'm glad you like these!